Victoria C. Metaxas is a partner in the Hartford office of Lewis Brisbois and a member of the Long-Term Care & Elder Law Practice. 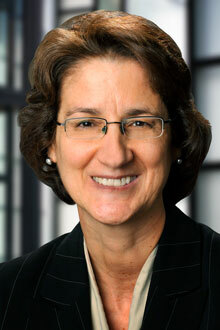 Throughout her career, Ms. Metaxas has handled matters involving nursing homes and assisted living facilities, medical, dental and psychiatric malpractice, construction site liability, elevator liability, automotive liability, premises liability, products liability, municipal liability and property damage. Ms. Metaxas has handled litigation matters at all stages – from inception through trial and appeal. To date, she has successfully tried more than 40 cases to verdict and selected more than 80 juries. She also has significant experience in mediations and arbitrations. She is the co-author of a training manual on New York State law governing joint and several liability, contribution and indemnity and the collateral source rule. Ms. Metaxas has presented on these issues for in-house claims personnel and on issues related to hotel liability for a national insurance claims organization.